Today I am excited to let you know that we’ve just enabled Guest Access in Microsoft Teams, built on the B2B collaboration features of Azure AD! 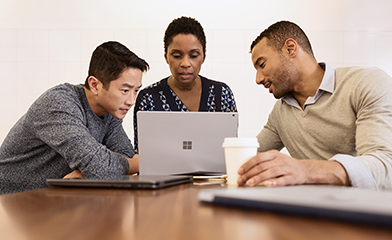 You can now enable partner collaboration in Teams for interactions across chat, apps, and file sharing, all with the ease of use and enterprise-grade protection Azure Active Directory has long enabled for your employees. Now anyone with an Azure Active Directory account in any organization can be invited as a guest user in Microsoft Teams! Customers have already created more than 8 million guest users using the B2B features of Azure AD and we’re only getting started. Adding support for Microsoft Teams has been a top customer request, so we’re excited to turn on this new capability to keep the momentum going. I hope you’ll give it a try today! So, go ahead, log in to Teams today and invite your partners to work with you. And as always, connect with us for any feedback, discussions, and suggestions. You know we’re listening! P.S. : We are already working to add additional Azure AD capabilities in Teams, including support for external users with any corporate or consumer email account. Look for more news on that soon!